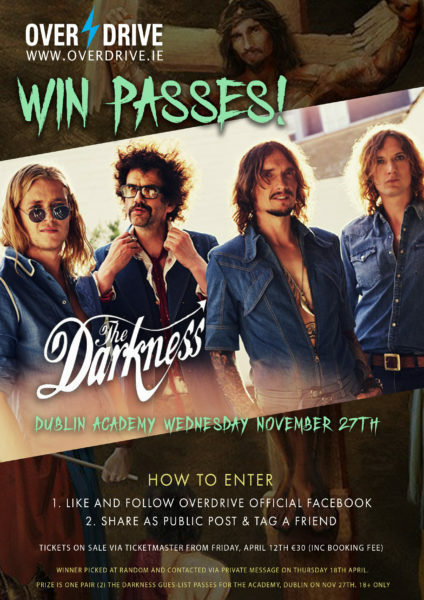 WIN PASSES FOR THE DARKNESS IN DUBLIN’S ACADEMY ON NOVEMBER 27TH! 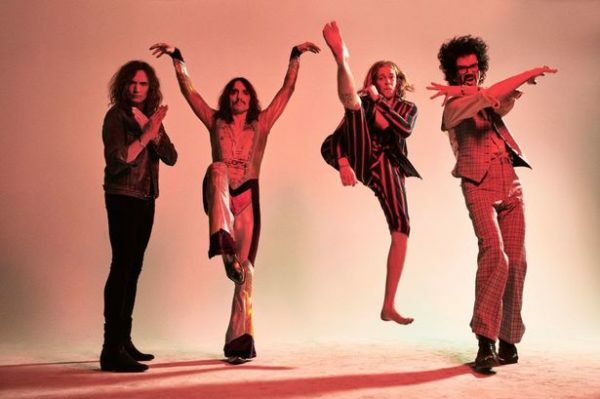 It’ll be the UK outfit’s first studio album since 2017’s Pinewood Smile. Tickets on sale Friday, April 12th @ 10 am from Ticketmaster. “Where are the heroes that this world needs? Where are the heroes that this world deserves? Cast aside despair, people, for the tide, will turn! 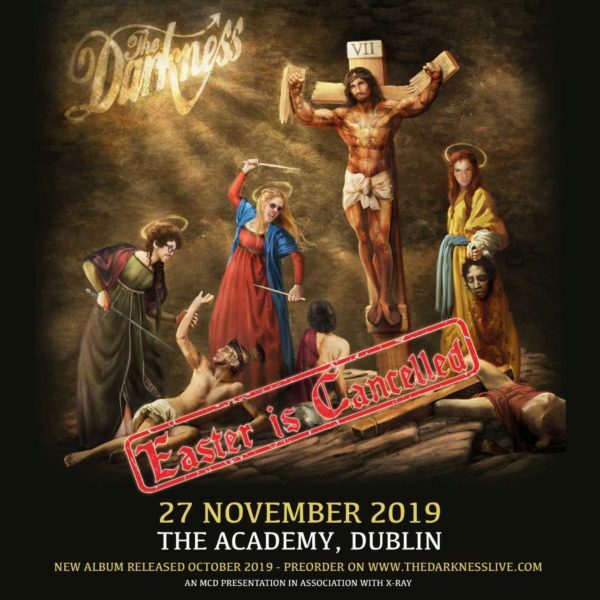 The Darkness will be taking to the stage in Dublin’s Academy on Wednesday, 27th November with tickets on sale from Friday, April 12th priced at €30 (inc booking fee). LIKE & FOLLOW OVERDRIVE OFFICIAL FACEBOOK. SHARE ON YOUR SOCIALS AS A PUBLIC POST & TAG A FRIEND. Winner will be chosen at random and contacted privately on Thursday, April 18th at 10am. 18+ only.